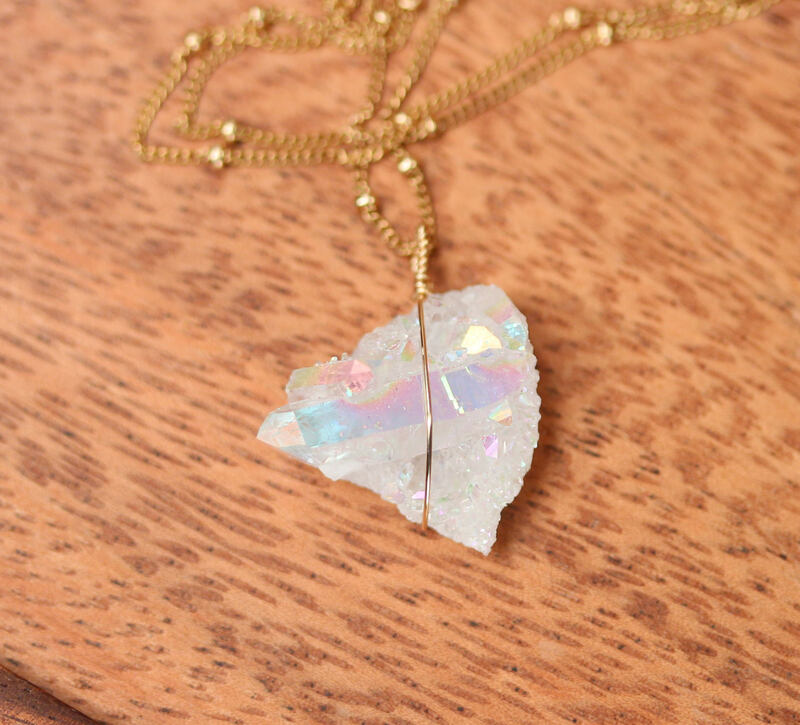 A one of a kind, raw angel aura crystal is wire wrapped onto a 16 inch 14k gold filled satellite chain. Please feel free to select a different length chain if you prefer. 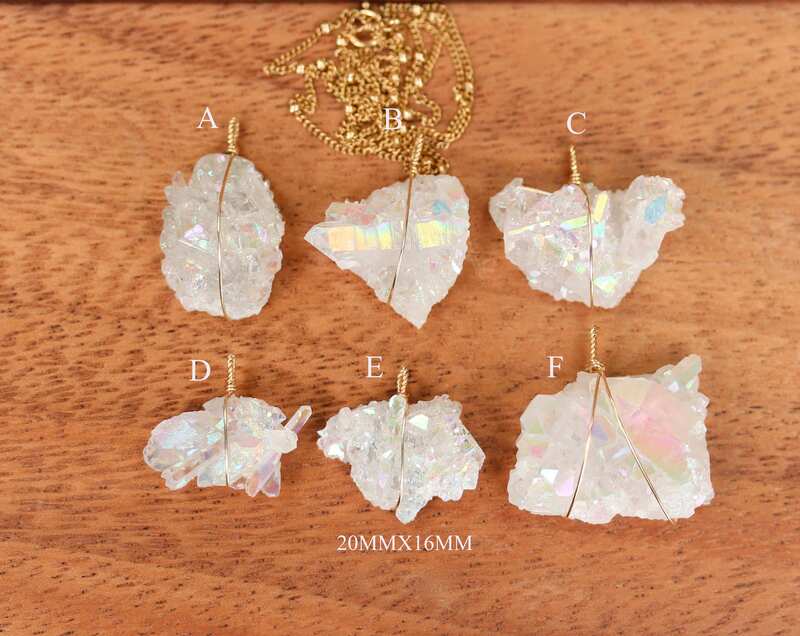 Also, please choose your favorite crystal as shown in the fourth photo. Also available on sterling silver! 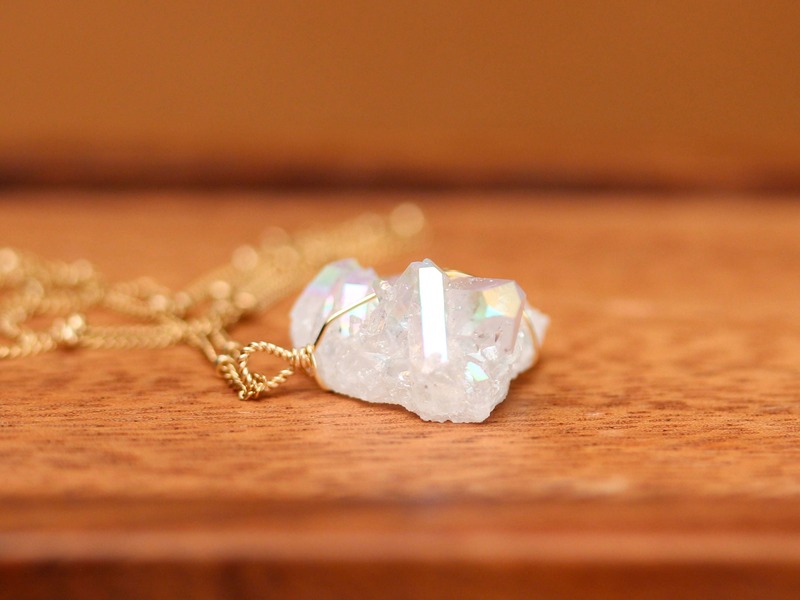 ♥ Need a few reasons to love an Aura Quartz Crystal? And what is it anyways? 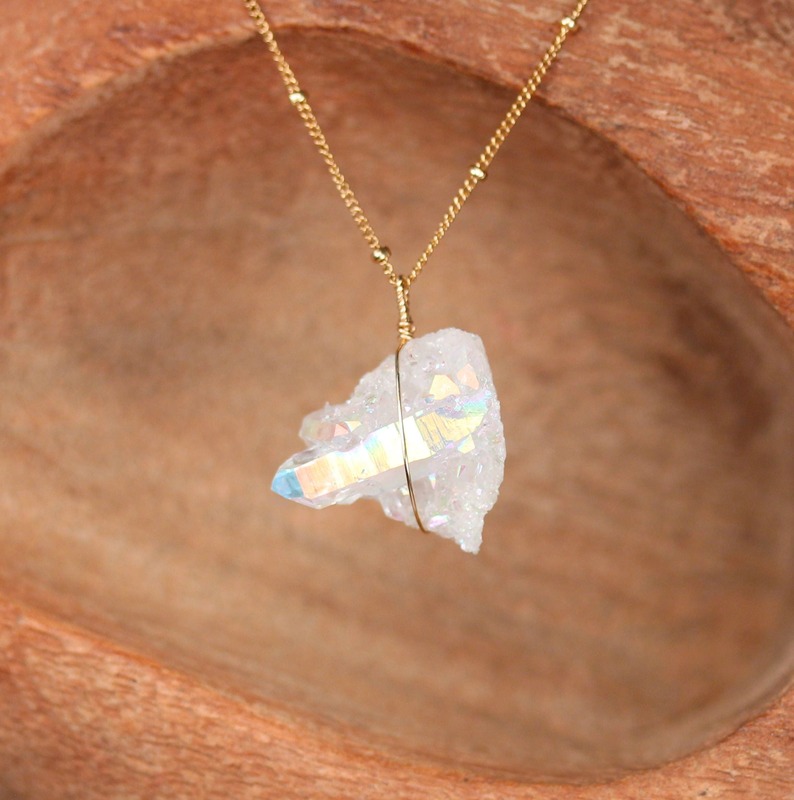 They are created by taking natural quartz crystal formations and infusing them with pure Gold creating an immensely powerful protection combination which fuses the White, Blue and Gold Rays into an iridescent display of Light. Aqua Aura is highly stimulating to the throat Chakra, enhancing one's ability to communicate inner truth, at it also has a soothing and relaxing effect on the emotional body. It can be used to soothe anger, cool feverishness, and release stress It is strongly connected to the element of water, and it is therefore a stone for enhancing one's access to the truth of the emotions. Wearing Aqua Aura Quartz is said to help one to shine with one's inner beauty, to attract wealth and success, to bring forth esoteric wisdom, to relieve depression & anxiety, and to assist in creating an aura of peace & well being in oneself and one's surroundings. It is a stone of spiritual elevation, which can serve to help raise the vibration of humanity.